This is an example of a star plot. I decided to use an older star plot example mainly because I think it is beautiful. A star plot shows us where constellations are located. 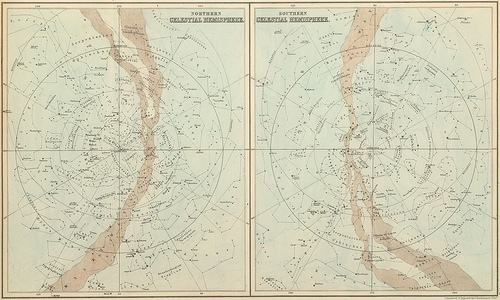 This map breaks the nightly location of the stars up based on the northern and southern hemispheres.